The XFL revival, brainchild of WWE Chairman Vince McMahon, will bring another football team to the field of Raymond James Stadium in Tampa in 2020, per a report from the Tampa Bay Times. The league will officially announce eight teams on December 5, 2018 in a press conference at MetLife Stadium in New Jersey. The XFL, which had its original run in 2001 with a team in Orlando, has hired former West Virginia University Athletic Director Oliver Luck to be its commissioner. Details are scarce at the moment, but the XFL website briefly had a listing of these eight cities for teams in 2020: Dallas, Houston, Los Angeles, New York, St. Louis, Seattle, Tampa Bay, and Washington, D.C. The Times then called a phone number for the Tampa Bay team with a message from Luck stating they are looking forward to playing at Raymond James Stadium. The yet-to-be-named Tampa XFL team could fill a void in the Tampa Bay sports calendar, with the Arena Football League's Tampa Bay Storm suspending operations in late 2017. The XFL will play in the Spring and is promoting a "reimagined" game with more action. The original version of the league was closely connected to McMahon's WWE, both financially and on the field. It is believed that the 2020 version will have more seperation from the wrestling promotion, with McMahon selling off $100 million in WWE stock to form a company and help fund the re-launch. 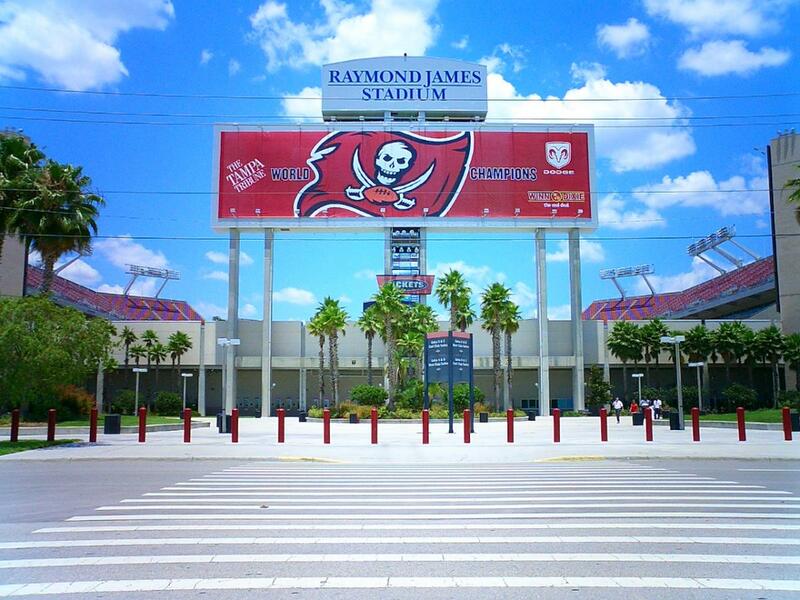 The XFL Tampa franchise will join the Tampa Bay Buccaneers and USF Football with games at Raymond James Stadium. The facility also hosts events such as Monster Jam, concerts, multiple Super Bowls, and the College Football Playoff championship game. 813area.com will have more details on the XFL Tampa Bay team once it's announced! Are you ready for even more football in Tampa come 2020? Want more sports news around Tampa Bay? Stay plugged in with 813area.com for all the latest! Sign up for our email list for all the latest news delivered straight to your inbox!